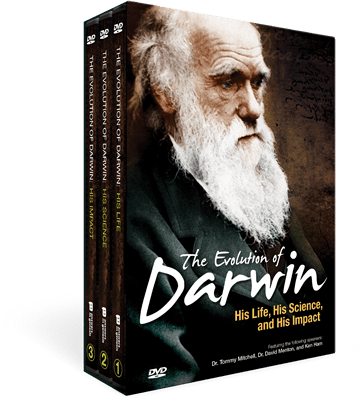 This award-winning 3-DVD set explores how the life and philosophy of one man, Charles Darwin, shaped the viewpoints of modern-day evolutionary thought. Each DVD presentation is punctuated with revealing interview segments and astounding conclusions! Gold Crown Award winner for “Best Series” and “Best Evangelistic Film”! Exposing the faulty beliefs and ideas of Darwin! 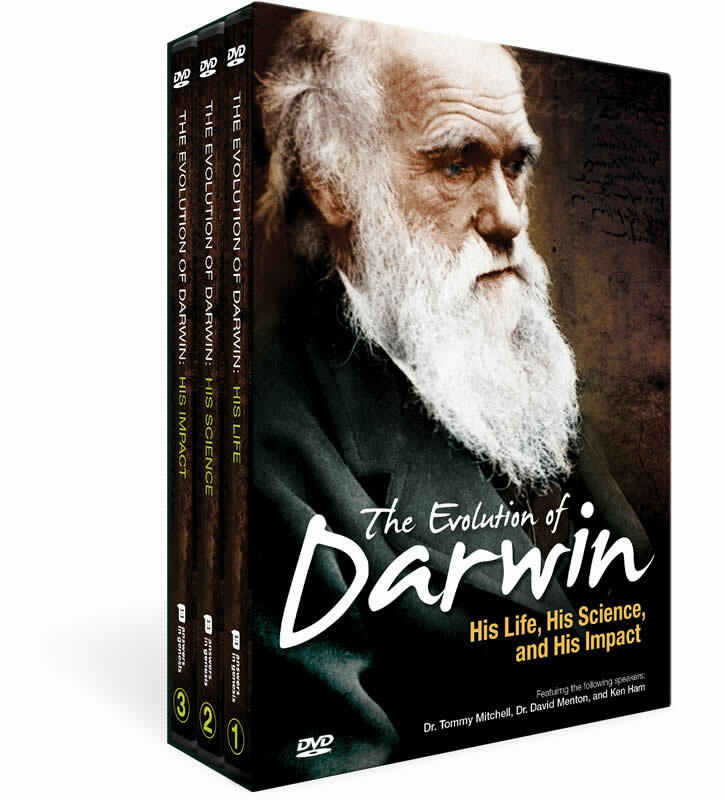 This award-winning DVD boxed set features three of today’s most popular creationist scientists and speakers. Each presents important, little-known information about Charles Darwin and his ideas that, in many ways, changed the world. This unique and well-illustrated series will equip every student, parent, and pastor who desires to be more effective in evangelizing and training the next generation!